So, writing and posting a blog is one thing - but writing a blog that will get people to stay and read is a whole different ball game. And if you follow us on social media, you'll notice that we rave about the importance of writing meaningful content - not necessarily just the typical, brain-numbing information that you read to a kid to get them to fall asleep. But the pressing question is, what is meaningful content? And how do you write it? According to Wordpress, in 2017 alone there was an average of 86.4 million new posts and blogs written. Think about that number… 86.4 million. Not views, not comments but… blog posts. The current population of Australia in 2018 is 24.72 million. From those statistics it would take every man, woman and child in Australia a lot of constant blog writing to hit those numbers. However, despite so many blogs being written every month, there is one thing that stops them from being a worthwhile read… And that thing is heart. In other words, these blogs are not meaningful in the way that they connect with and engage with the audience. The difficulty in writing meaningful content in a 'narrative' sense is that what is meaningful is subjective, and differs from person to person. However, from a digital marketing perspective it means to what extent does the content speaks directly to their targeted audience and what they want. To illustrate this let's say you are a food recipe website. Your audience are people who visit your site for quick and easy budgeted recipes which is, of course, consistent with your branding and offerings. Let's say the next recipe you post is long winded and talks about what the dish means to you personally. From a narrative or story telling perspective perhaps, but digital marketing wise, this completely loses the plot. When writing meaningful content there are many factors that digital marketers must consider. The 'why' is the foundation of all your content writing, all your topics from how you will write, who you write to and so on. There is no point writing content if you do not have direction and consistency. Firstly, quality content generates better conversations and thus would gain more natural links from other websites or people. When this happens, it tells Google that your content is quality enough for people to recommend on their website. This leads to higher search rankings. Secondly, meaningful content is quality content, so people stay longer on your website and take time to read what you have to say. The lower bounce rate also tells Google that the information on your page is valuable and should be sought after. Writing meaningful content does not refer to creating a lot of low quality links or engaging in keyword stuffing because too much of it not only reflects poor content, but Google eventually punishes your website rank for it. The purpose of your business or any business that has a website is to attract customers to become more exposed to your brand or offerings. Creating meaningful content that appeals to your potential customers increases the number of people coming to your website to check out what you have to offer. If people see the value in your content, they'll come back for more. And the most important note to make is that you don't want to push products in their face otherwise it will deter them from coming back. What meaningful content looks like varies from person to person and from business to business. To shape what your content looks like, the most important questions to ask is what do I want to write about and to whom am I writing this for? Keeping these two in mind should help dictate and provide a sense of structure to any content you write. An important thing to note is that you should let your audience take the content and not force it onto them. It may just sounds like a bunch of marketing fluff, but really, it's just inbound marketing in play. 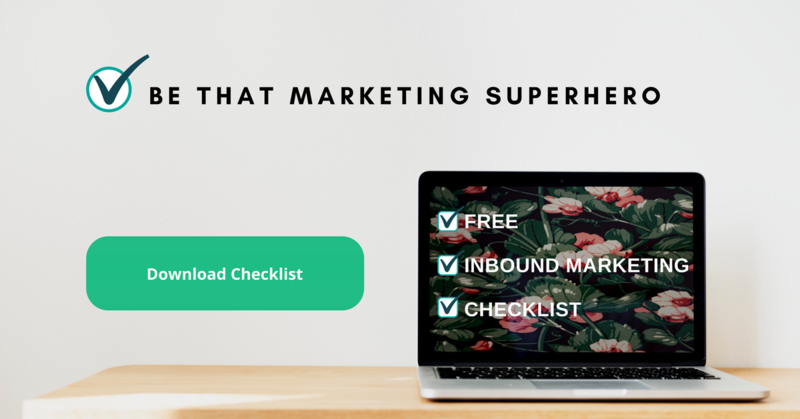 According to Hubspot, Inbound marketing encourages making content that listens and speaks to the audience rather than pushes agendas and messages at them. Below are some things to consider when writing meaningful content. "Did you check out the latest updates on Facebook?" "What updates? Nope not really.."
Keep your ears peeled for the hottest and latest trends, updates in your industry. It shows that you are interested in the field and that you're constantly engaged. People don't want to fall behind the race and constantly want to be updated..
For example, in the digital marketing industry, the new year in 2018 has ushered in new updates on major social media platforms. It is not only in ours but our readers best interest to know and understand about these updates. As a result, we have written 3 blogs about social media, one about Facebook's 2017 updates, Facebooks 2018 Updates and then Instagram's 2018 Updates. You're a science website that writes science blogs. The way your brand is and how you've marketed yourself is to an audience that has no expertise in science. Your blogs aren't getting any reception and hits and therefore your website isn't getting anything either. What makes content meaningful is writing what the audience wants and is looking for. In this case your audience were looking to your scientific content to be written in layman's language and not scientific (even though you are writing about science). As a result, your audience disengaged and went somewhere else to fill in that gap. You can listen to your audience through looking at engagement and your analytics, asking them directly or by conducting surveys. The more information you have on what your audience wants the better. The whole page of just plain text is the standard… and it can be boring. 3. Meaningful Content has variety: look to drawing sources from other links, provide graphics and videos to help explain what you mean. Recent trends on social media algorithms tend to favour the graphics and video formats of providing content. As a result, you'll end up with more exposure and engagement with your audience. 4. Meaningful Content involves actions and provide results: Remember people come and search for your blogs to find solutions to their problems the same way customers would look to your offerings. Having this mentality when you write will help you be more concise with the direction of the blogs. As with any business, depending on your branding and offerings, it will appeal to different audiences. The goal then is to determine what is it that they look for? Two prominent marketers Smith and Colgate, developed a value-based framework to help distinguish between the different values people seek in an offering. In this photo, value is divided distinctly into 4 sections. What this means for your content is to determine yourself what value do you want to offer the audience? Functional Value: The kind of content you'd write is factual and the aim is to provide an objective solution to fixing an issue. Experiential Value: The kind of content you'd write appeals mainly to the experience of the offering such as providing emotional, sensory and or social recounts. Symbolic Value: This kind of content mainly appeals to the audience's self-expression, identity and sense of worth and social meaning. Cost Value: This value appeals to the audiences feelings of personal, economical and psychological costs. Example: iSelect's blog about how to save money on car insurance. Something for you to take away! Below are a few ads that we at Webplanners have handpicked to represent what we think to be and provide meaningful content. Although they may have presented differently and is from different industries, the theory is still the same. ​Who is this ad targeting? Does it build brand loyalty and keeps up to date with industry information? What solution is it providing to the audience? What value is it attempting to add to their intended audience? Tell us about your answers in the comment section of this blog and we will give you feedback on it too! It is easy for us to say how and what it should be like. Putting all of what we wrote into practice may be a lot harder. You're writing it to your audience whom you want to engage with and reversely engage with your offerings. Once you have this foundation down, then you may experiment with images and videos and links etc. It is what we at Webplanners have started to do a lot more now that the new year has started.